First of all, let me say that Pretty Edgy went on perfectly. 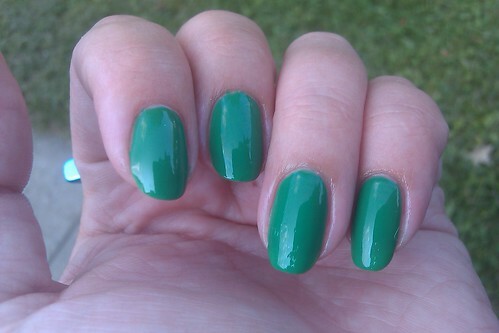 The last few Essie's I have worn where a bit thick, but this one was perfection in 2 coats!!! Can you believe how glossy it is, even in the shade? 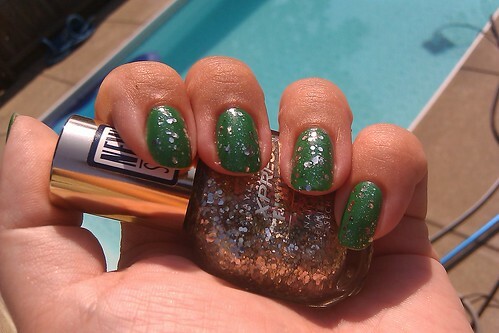 Please excuse that bit of polish on my cuticles, I didn't do cleanup with this mani since the polish applied so well and I didn't even notice the green until I saw it in the pictures! 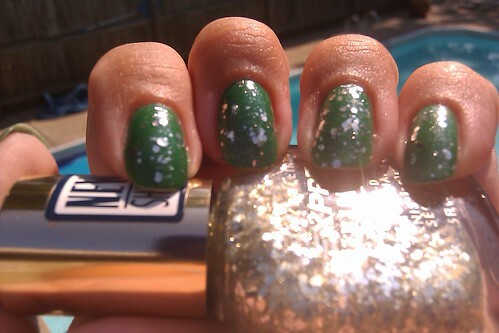 When I found this Maybelline glitter at a dusty, I was convinced it was gold even though it was called "Silver Spells." Turns out it looked gold because the clear polish it was suspended in turned a bit yellow. But it applied like a dream and wore like iron! It was amazing how well wore, and the best part was that I applied it on the second day of wearing Pretty Edgy and threw a coat of SV on top. I was sure I would get shrinkage, but I didn't! I love the different glitter shapes and sizes! I wonder how the upcoming collections will be, now that L'Oreal bought Essie? I know that the 'real' Essie is staying on as a consultant of some kind, does that mean we may get less pinks and reds and sheers? Also, Essie was cruelty-free, but I don't think L'Oreal is across the board. I know this is important to alot of you, and it is important to me as well. 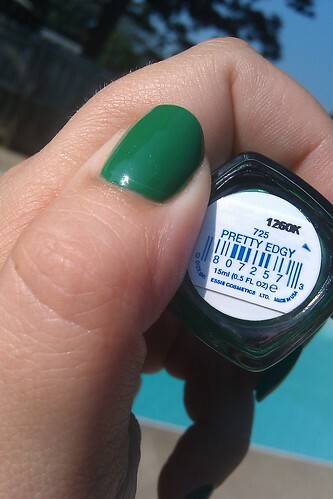 Did any of you pick up Pretty Edgy? I am pretty bummed we cannot buy it from e-tailers at a discount any longer, I got this during a sale at Ulta, buy 2 get one free, plus I had a coupon so it all worked out ok.